Godden Allen Lawn is again proud to have played a part in supporting the Battle of Britain Memorial Trust and the fantastic work it does to keep alive the memory of the men who served this country in 1940. After designing the impressive Wing Building, which opened as the Trust’s new visitor centre in March 2015, we were asked to help give the original visitor centre, Hunting Lodge, a new lease of life. Hunting Lodge opened in 1995, with visitors originally served with tea, coffee and ice creams through a window. 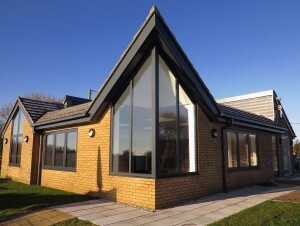 The conservatory-style extension was added on a few years later, but after 20 years, the shop and cafe were superseded by the new facilities in The Wing. The Trust then decided to repurpose the existing building as a home for the many books and other research material it had accumulated over the years so that it could make the collection available to students and researchers on request. We were asked to redesign the building as a library and resource centre, complete with storage area, as part of the celebrations to mark the 25th anniversary of the unveiling of the National Memorial to the Few by Her Late Majesty Queen Elizabeth The Queen Mother. 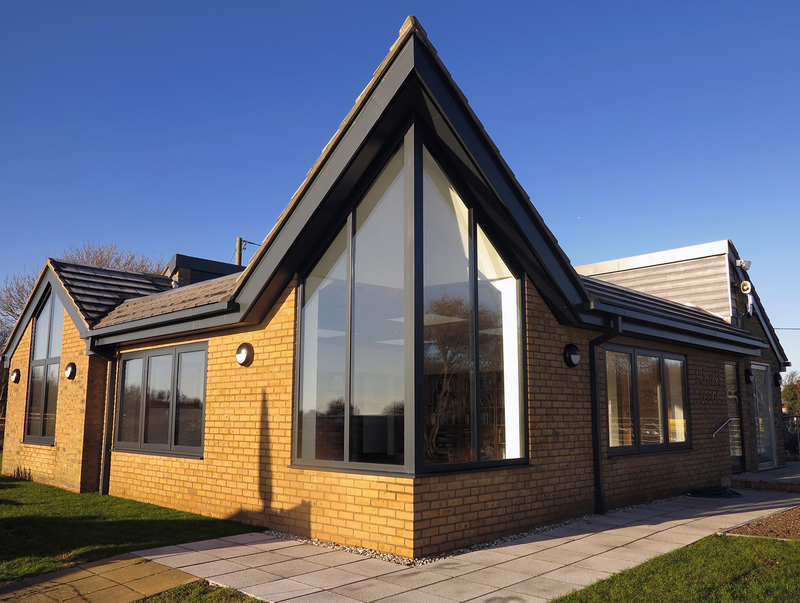 As well as making the building fit for its new purpose, we completely renovated and modernised it, as well as adding an eye-catching glazed corner feature. It was opened in April by the Trust’s Immediate Past President and former Chief of the Air Staff, Air Chief Marshal Sir Michael Graydon GCB CBE.